I have listed a new property at 10104 HYMAR DR in Chilliwack. 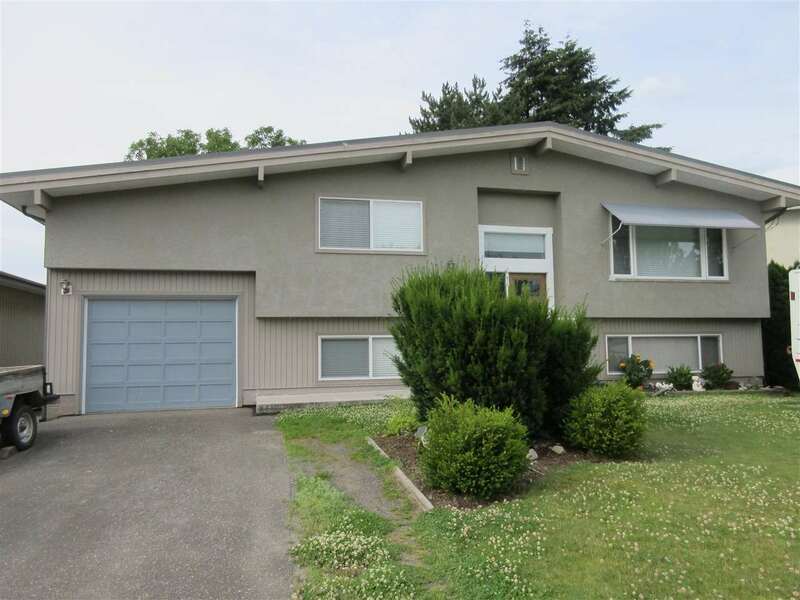 This great Chilliwack family home features 4 bed, 2 bath, over 2000 sq ft, very nice & spacious kitchen, gas fireplace in living room, dining area with patio doors leading to enclosed porch. Laminate flooring thru out. Below has 2 bedrooms & rec room. Lots of new windows, & new roof. Beautiful huge yard with mature trees & gardens. Covered gazebo, 12'x12' shed, another 9'x9' metal shed, play fort & storage under the deck. Complete with mountain views!